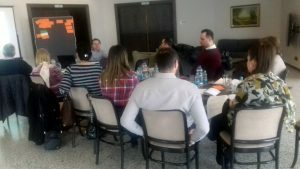 Within implementation of the LocalInterAct Network project, a workshop for development teams of municipalities Derventa, Prnjavor and Laktasi was held in Prnjavor. The project team members presented local economies of the municipalities they come from and pointed out problems they face when preparing specific analyses. 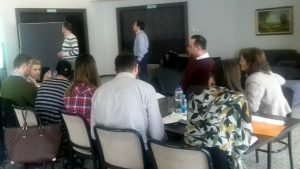 Participants were introduced to project activities focused on quantitative research and analysis, as well as to use of advanced methods and techniques in preparing relevant analysis, using data from adequate sources. Activities planned for the forthcoming period, related to demonstration of applying relevant tools in preparing analysis of current situation and economic trends, using available database for each municipality, were agreed with the municipalities.